Welcome Marine Corps Family and Friends! 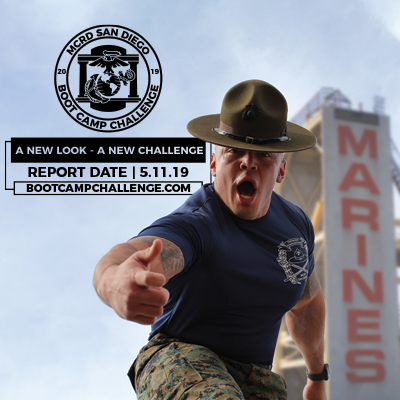 What these young men experience at MCRD San Diego during recruit training changes them forever. Thank you for your support to them throughout this process. 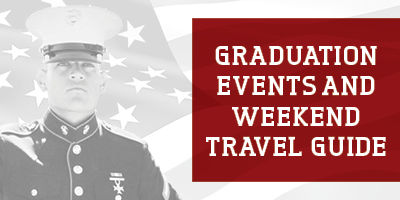 It is with great pleasure and pride that we welcome you to the United States Marine Corps family, and we look forward to seeing you and sharing the joy and celebration of graduation with you. To request American Sign Language (ASL) services, please contact MCRD Protocol Office at 619-524-8707/8710. 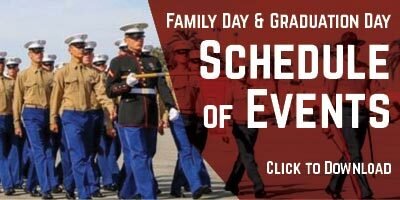 Requests should be made as soon as possible but at least 3-4 weeks prior to arrival for Family Day and Graduation Events. For information about base lodging, please click here or call 619-524-4401.